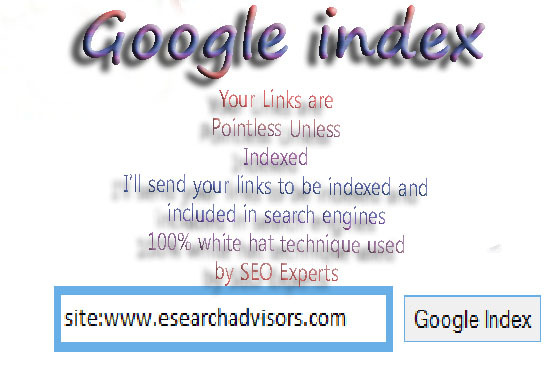 You have built great links to your site, that's great, but they're pointless unless you get them indexed in google, The good news is I am offering my time tested 100% white hat indexing service to you on Fiverr so you can take advantage getting your links credited to your site. I use techniques that Google not only recommends but is urging webmasters to be used! Using my service is absolutely safe for Your backlinks and sites!